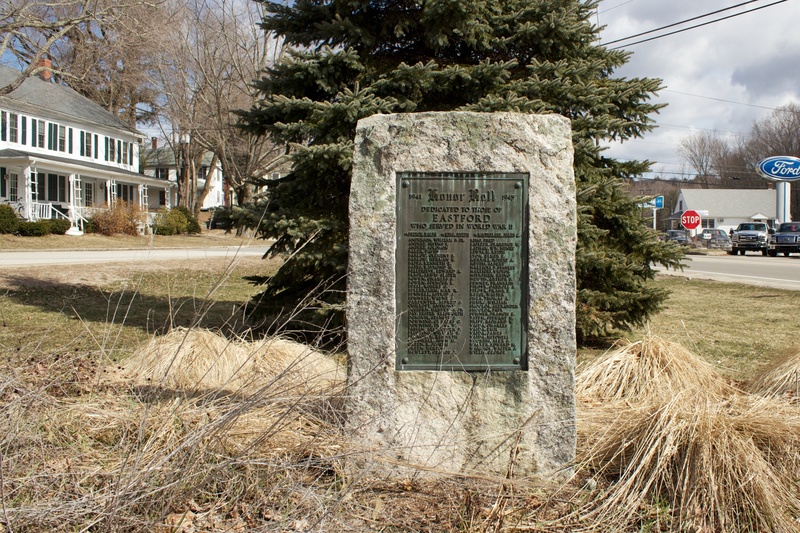 Eastford honors its war veterans with a monument on the green in front of its public library. 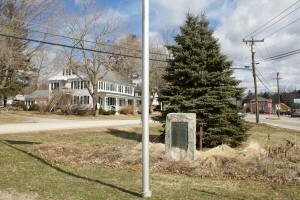 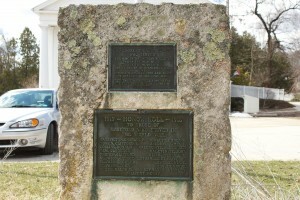 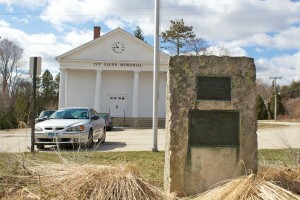 The monument, a granite block with bronze plaques, stands at the intersections of Eastford Road (Route 198) with Westford and Old Colony roads. 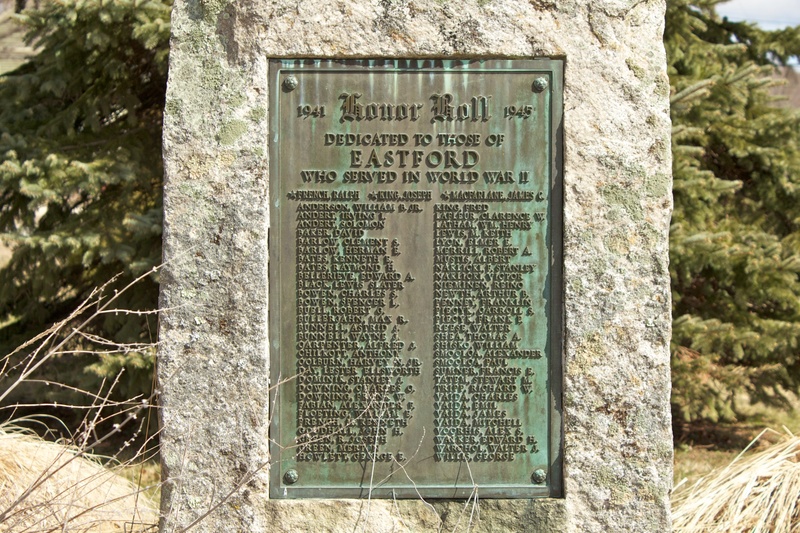 The monument’s south face features a bronze Honor Roll plaque listing about 63 names of World War II veterans. 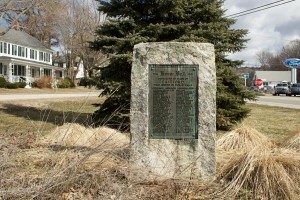 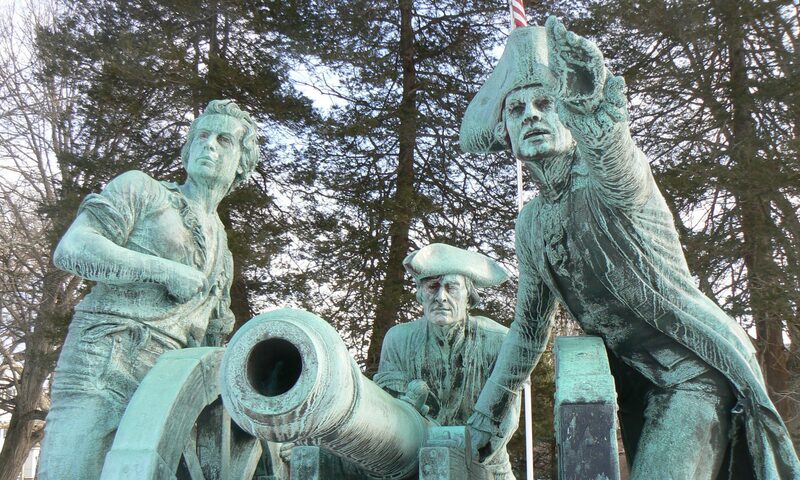 The monument indicates the three Eastford residents killed in the war. The lower Honor Roll plaque lists 19 residents who served in World War I. 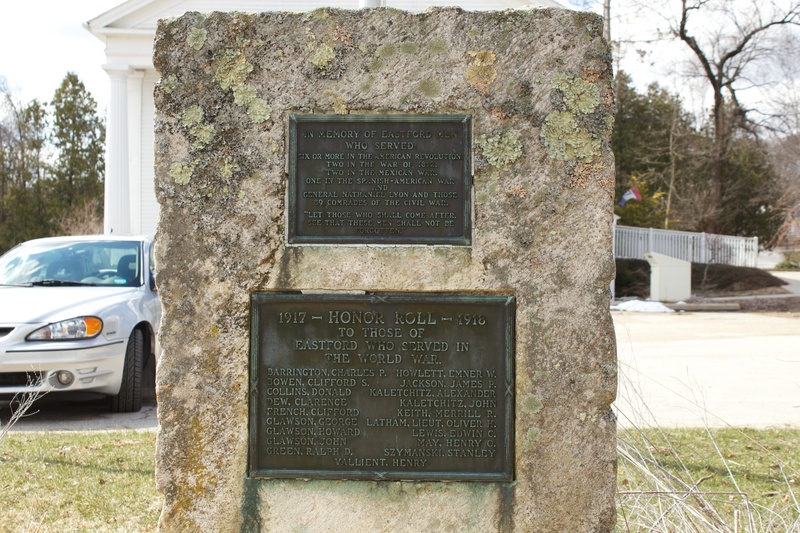 The monument is undated, but the “World War” reference probably indicates it was originally dedicated in the 1920s or 30s. Gen. Nathaniel Lyon, the first Union general killed in the Civil War, is buried in Eastford’s General Lyon Cemetery.